A cavity is probably one of the most common reasons you would visit a dentist. Cavities are nothing but a form of decay or disease occurring in your tooth. So just as you would look to treat any other disease occurring in your body, your teeth too demand to be treated at the earliest. These cavities require to be cleansed of all the decayed tooth structure (which is removed) and the resultant defect in the tooth is filled using filling materials which match the colour of your tooth to such an extent, you will not even be able to tell! WHICH FILLING MATERIALS CAN BE USED? Well, old schools of thought use silver amalgam as a cavity filling material. 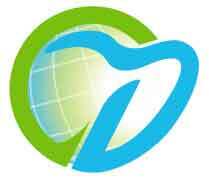 However, at World-Dent we do not even have amalgam in stock, let alone use it. We use only the highest quality and best available composite resins as filling material. WHERE CAN FILLINGS BE DONE?